Android TV Box Review: TICTID MXQ | Cut Cable, Phone & Energy Cost Using These Simple Tips! 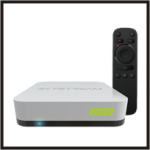 Android TV Box is marketed as a device that allows you to stream music and view online videos (mainly free movies, TV shows and live sports) on your regular TV. The device connects to the Internet through an Ethernet cable or Wifi connection. At the same time, it connects to your TV via an HDMI or RCA AV cable. 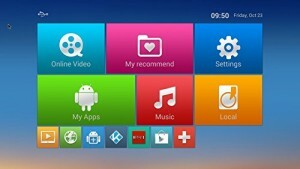 You can then navigate its Android-based media centre menu on your TV screen to access desired media for viewing or listening. Although the device is named as a “TV Box”, it can not be hooked up to a TV antenna since it does not come with an RF input. The main reason for you to purchase an Android TV Box is to take advantage of its preloaded software called Kodi. Kodi itself is a legal media center software but many of its add-ons (plugins) developed by third-party developers allow you to watch the latest movies, TV shows and even live sports for free. These 3rd party video sources might infringe copyrighted materials so stream them at your discretion if you decide to purchase the device. 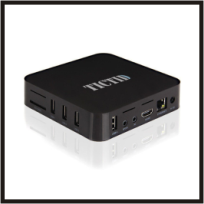 For this particular model, TICTID MXQ Android TV Box is a well-built device. The construction is not flimsy. In fact, it has a solid feel to it because of its weight and rigidity. There are no signs of any misaligned ports or outputs so its fit and finish is equivalent to regular streaming players such as Roku and Apple TV. You can easily tell when the unit is turned on from a bright blue LED light. There are multiple vents at the bottom and on the side to dissipate heat which should increase the service life of the device. This Android TV Box offers a plethora of connectivity options. First of all, it has built-in Wifi and a port for an Ethernet cable. Then there is a card reader and four UBS 2.0 ports plus an SPDIF output. 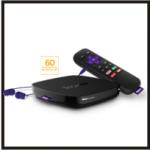 Lastly, you have can connect this Android TV Box to your TV via an HDMI or RCA AV cable (both cables are included). The included remote control is fairly basic. You need to supply your own batteries (AAA x2). It is somewhat disappointing that it does not have buttons for the usual playback functions such as play/pause/forward/rewind. However, this should not be a deal-breaker if you look at the “big picture”. There are four buttons at each corner of the D-pad: “Home”, “Return”, “Menu”, “Cursor”. “Power”, “Home” and “Return” are probably buttons you will use most often beside the D-pad and “OK” button. TICTID Android TV Box’s remote control is overall fairly responsive to our inputs. There is an interesting “Cursor” function which shows a pointer on the screen when you press it. You control this onscreen pointer by using the D-pad, but the pointer movement is quite slow so it’s doubtful you will use it often. Instead, you can invest in an Air Mouse which achieves the same function with ease. An Air Mouse remote control will also improve your gaming experience with games such as Angry Bird, Fruit Ninja, Minion Rush and racing games like Riptide GP2, etc. Some Air Mouse remote controls even come with a mini-keyboard on the back side so there is no need to invest in a separate wireless keyboard. There are no physical buttons on the TICTID MXQ Android TV Box, so everything is operated via its remote control. The device starts up in decent speed. The home menu features large icons of media types such as “Online Video”, “Music”, “Settings”, etc. in vibrant and pleasing colours so they are easy to see and pick. Onscreen menu navigation from the remote control is accurate and almost immediate. App startup time is also very quick. For instance, starting Kodi software takes less than a dozen seconds. The built-in file explorer is a little awkward to use while performing tasks such as copying and pasting files between different folders. We suspect, the awkwardness is the result of the functions being represented by symbols only, no text descriptions are available. The fact you have to click on them again to release the function before you can move on to another screen makes it confusing to use (note: you will get a hang of it once you memorize the function of each symbol). One thing that is disappointing: there was a pre-loaded game which would launch but it wouldn’t respond to the remote control input so we had to resort to pressing the “home” button to get out of it. It’s probably just a one-off but this also shows not all included Apps are remote control friendly, especially games. Therefore, it’s a good idea to invest in an Air Mouse if you plan to play games on an Android TV Box. For those who buy an Android TV Box to watch free movies and TV shows, menu navigation via the included remote control is more than adequate. Overall, the remote control works fine without much lag. Speaking of lag, you should be aware of the following drawback about using the Kodi media centre. Kodi is the main reason why most people get an Android TV Box. Nowadays, Kodi is basically a synonym for free movies and TV shows. However, it is not perfect. There are many “pauses” (long and short) while navigating through Kodi’s menu. Most of the time, this pause or lag is not the Kodi software’s fault. Rather, it is due to the 3rd party add-on’s server speed and stored video links. If the 3rd party add-on server is slow or video links are missing, there could be instances where the menu screen would just “hang” or “freeze” with only the “working” message showing for a long time and pressing “Back” or “Home” button would not do anything. This could be very frustrating in the beginning but you will eventually filter out the not-so-reliable add-ons and keep the ones that work the best for you. From this experience, it is obvious some 3rd party add-ons are the weak links in Kodi. As well, there may come a time where the video might freeze or become choppy during playback. This occurs the most for us while streaming live shows and live sports because the broadcasting source is slow or not tuned properly. However, watching movies and TV shows are mostly without any issues. So far, we only experienced one instance where the video paused for a while before it started to play again. This is most likely due to insufficient Internet connection bandwidth so make sure you are not simultaneously performing heavy downloading and using your Android TV Box for streaming HD videos. If your Internet connection is functioning properly, you may need to try a different video link or even add-on if necessary. Pop in two AAA batteries (not included) into the remote control. 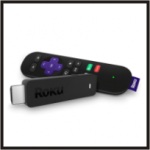 Connect the supplied HDMI or RCA AV cable to your device and TV. Change your TV input source to the connected AV port. Connect an Ethernet cable (if available) to your device. If you need to connect to your Wifi network; use the remote control and click on “Settings” on the TV screen; click on “Network”; pick “Wifi” (make sure check mark appears); select network name you wish to connect to; use onscreen keyboard to input your password; make sure password is correct before returning to the main menu and you are ready to stream! Not really, but it depends on if you can put up with the inconvenience (read below). The heart of an Android TV Box is essentially about Kodi. Without the pre-loaded Kodi media centre software, you can’t access free movies and TV shows easily. Since Kodi is an open source software, you can download it for free and install it on your PC and mobile devices. This means, instead of buying an Android TV Box, you can actually watch free movies and TV shows on your PC or mobile devices as long as they have Kodi installed. If you want to enjoy watching the shows on your regular TV, simply connect your PC or mobile device to your TV via an HDMI cable if it is available. 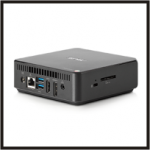 However, it could be a hassle to connect your PC or mobile device to your TV all the time. Another drawback of doing this is you would need to pause the video playback if you want to use your PC, mobile phone or tablet. 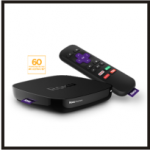 Therefore, having a dedicated TV Box gives you a better viewing experience by using its remote control and saves you time from connecting your mobile device to your TV each and every time. If the inconvenience doesn’t bother you, at the time of writing, Kodi is available from Google’s Play Store while absent from Apple’s App Store. You can try out Kodi here on your PC, smartphone or tablet before deciding if an Android TV Box is for you. If you plan to do more than just viewing movies and TV shows, for instance, browsing the web, emailing or using Facebook, a wireless keyboard and mouse are recommended. Search online for “best add-on for kodi” and get the best movie, TV show add-ons. 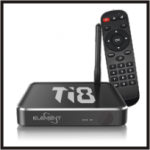 TICTID Android TV Box is a powerful yet compact media centre. The overall build quality is on par with most streaming media players. 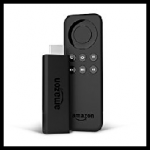 It offers great value because it is reasonably priced, the device has many connectivity options and most importantly, it is pre-loaded with Kodi media centre software that sets it apart from Roku or Apple TV. Kodi add-ons allow you to watch the latest movies, TV shows and even live sports for free and most people buy an Android TV Box for this very purpose. Our observed device and App startup time is very acceptable so the overall navigation experience is mostly fluid. However, not all Apps are remote control friendly. If you plan to use Apps such as emails or Facebook/Twitter, a wireless keyboard is recommended. If watching free movies and TV shows are all you want to do, then TICTID MXQ Android TV Box is definitely up to the task. However, since not all 3rd party video links work in Kodi, be prepared to exercise some (if not plenty of) patience while searching and waiting for the videos to load. Thankfully, you will quickly forget about this shortcoming once the movie or your favourite TV show starts to play. If you despise watching copyrighted material for free and don’t have the patience for the unreliable video links, you can still use an Android TV Box but you should stay away from using the Kodi media centre. 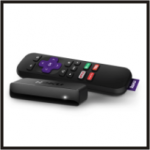 In this case, paying for a Netflix or Shomi online video subscription might be your best bet. Alternatively, you can check out other ways of watching movies, TV shows and live sports for free or less by browsing our website (ways to cut my cable TV bill).